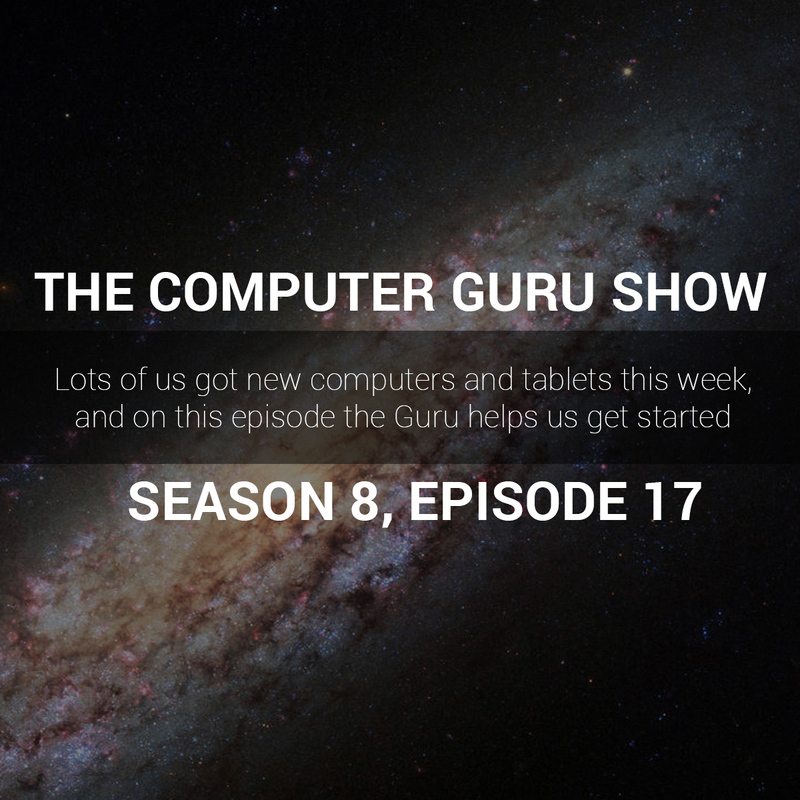 Podcast S8E17 – Lots of us got new computers and tablets this week, and on this episode the Guru helps us get started. Lots of us got new computers and tablets this week, and on this episode the Guru helps us get started. During the holidays this year, many of us were fortunate enough to receive new computers and laptops. However, many of us are at a loss for how to get started with them. This week,the Guru takes some time to answer our questions about our new hardware, and help us with any problems we're experiencing.